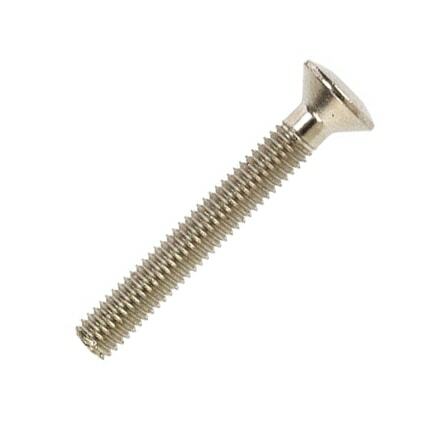 Orbix electrical screws have been designed by electricians for electricians. Tried and tested by the trade, these screws have been manufactured to make electrical fixings easier, quicker and more cost efficient than ever before. 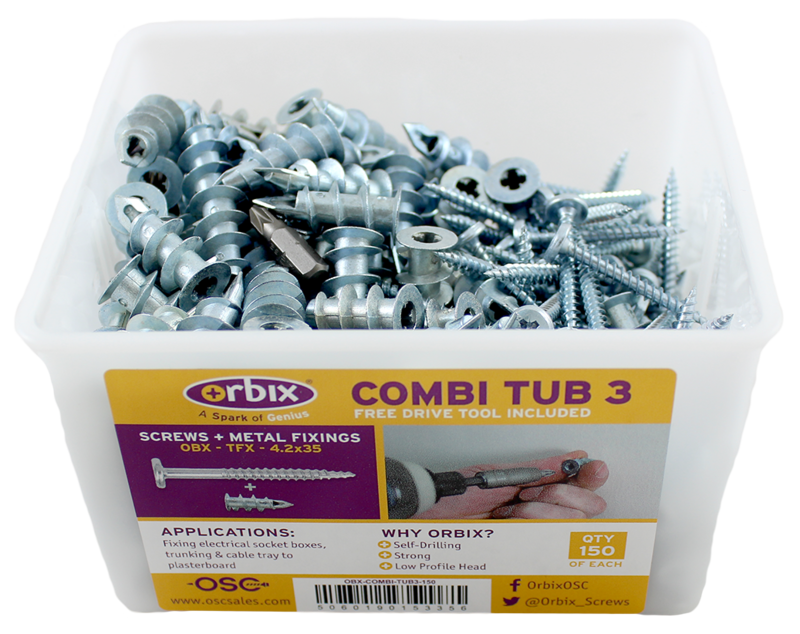 Although suitable for a range of common electrical fixings, Orbix electrical screws are ideal for all types of installation and maintenance. Orbix self-tapping electrical fasteners feature a low profile design for a guaranteed snag-free and seamless finish – saving you time and money on any type of job. 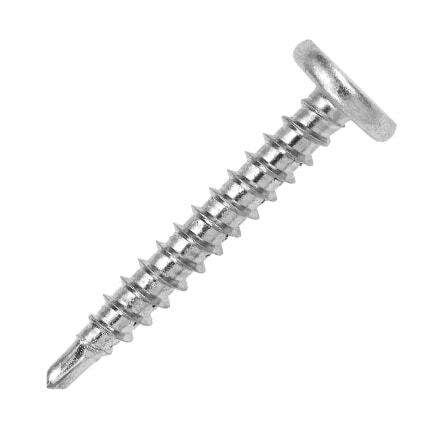 Browse our range of electrical screws below. We recognise that securing electrical fixings using traditional methods can be a time-consuming process. Whilst original methods work, Orbix electrical screws are innovating the way electrician’s complete jobs by saving valuable time and being more cost efficient. With an Orbix electrical screw little to no preparation is required. All you need is a cordless drill, a free drill-bit and your Orbix electrical screw, simply drill and fix in one – they’re a spark of genius! Heavy Duty Self-Drilling Screw: our HD self-drilling screws are a durable and reliable screw suitable for joining cable trays, cable trunking, trunking lids, armoured cable cleats, mounting din rail and so much more! General Purpose Self-Drilling Screw: just as the name would suggest, these electrical screws are ideal for general purpose jobs such as fixing electrical accessories, socket boxes and trunking. These self-drilling screws have an extra sharp point for optimum driveability and a snag free finish! 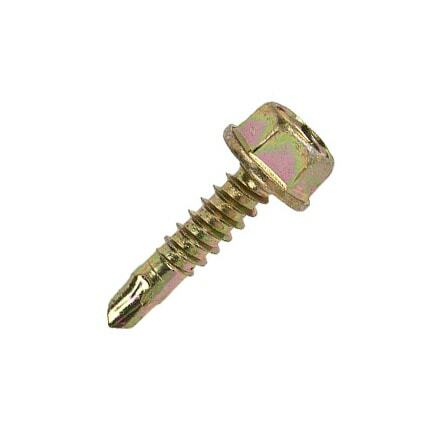 Pan Head Self-Drilling Screw: suitable for light duty metal-to-metal fixings, these electrical screws feature a sharp point for a snag-free finish and a flat head to sit flush with the fixture. Multi-Wood Self-Tapping Screw: perfect for metal-to-wood or wood-to-wood applications, this screw is self-drilling meaning no preparation is required, cuts out any need for fiddly washers and features a large bearing surface to prevent buckling. 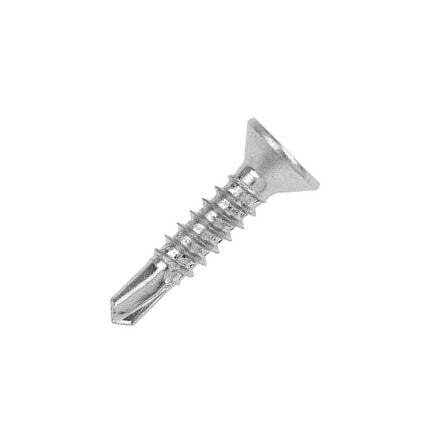 Countersunk Head Self-Drilling Screws: ideal for tight spaces, the Orbix countersunk screw offers a flush finish suitable for fixing clips, cleats or saddles. No need to worry about nuts, bolts or spanners; drill, fix and tighten to complete the job in record time. 3.5mm Security Screws: our security screws feature a faceplate head which prevents tampering in any environment. A free drill-bit is included with every purchase to help you get the job done. High Capacity Hex Head Self-Drilling Screws: these strong, durable electrical screws can withhold high capacity loads. 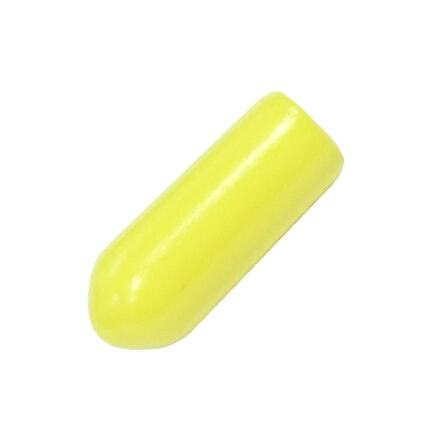 Guaranteed not to snap, and can be removed and reused for other projects. Hex Head Self-Drilling Screws: our hex head electrical screw offers strong and reliable fixings, with no preparation needed and minimal tools required, you can save time and money with every job. 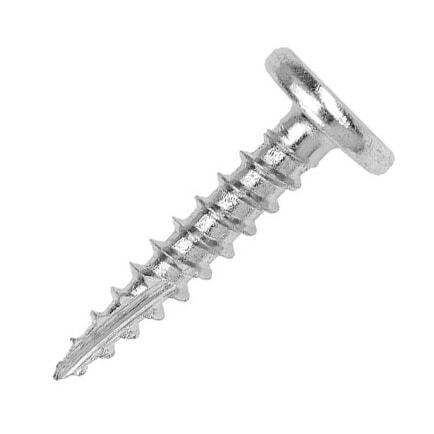 Whether it be fixing metal or PVC to wood or brickwork, we have a screw for you. Our screws have been engineered to work every time and last the lifetime of your project. 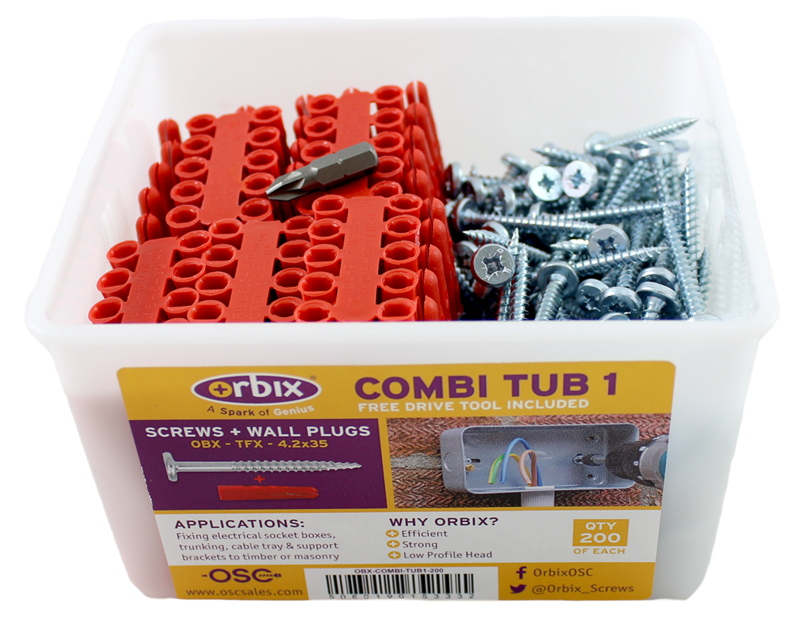 What’s more, the majority of the Orbix electrical screws are self-drilling, meaning little to no preparation is needed; simply drill and fix in one, with no more than your cordless drill, free drill-bit and Orbix electrical fastener – making light work of any job! OSC Sales is a UK based company revolutionising the way electricians and carpenters complete jobs by innovating conventional screws, bolts and ties. Founded in 1998, the company was born to distribute FastenMaster self-drilling screws, manufactured in the USA. Our work with FastenMaster enabled us to establish a gap in the market for a comprehensive British made range of first-class corrosion-resistant screws and fasteners for UK timber sizes. 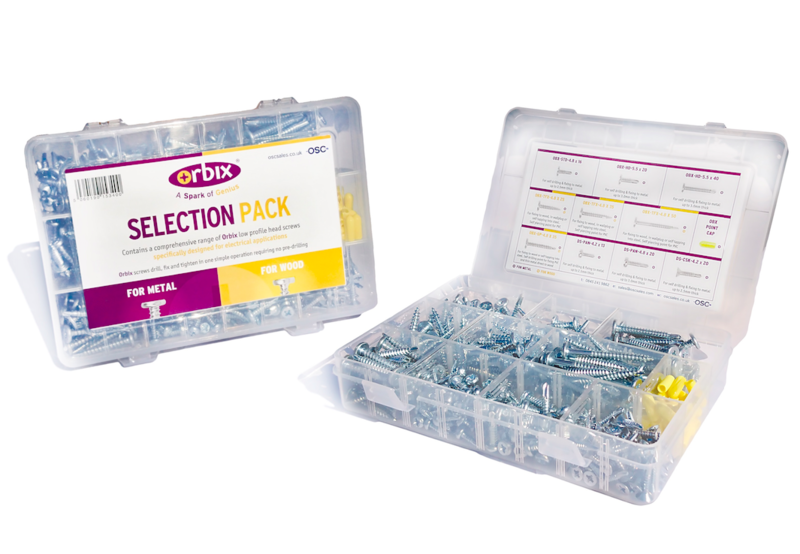 In addition to Carpenters Mate, we are also renowned for our electrical screw range – Orbix. Our self-tapping metal screws are proven to make electrical installations easier, cleaner and quicker than ever before. We became the exclusive importer for the CAMO hidden deck fastening system. Originating from the United States, the CAMO screw is a firm favourite, so we thought it was necessary to bring the brand to the UK. Complete decking projects in record time, with a seamless finish using the CAMO hidden decking system. What’s even better about purchasing an Orbix electrical screw, there is no need to buy a separate drive tool. Each of our electrical fasteners come with a free drive tool in every pack. There is no need to worry about purchasing a new one or finding a tool that fits – we go the extra mile to increase the efficiency and profitability of your projects! 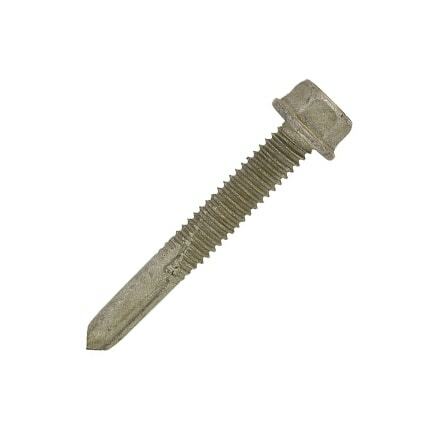 Are you interested in purchasing Orbix electrical fasteners and screws? You can find a list of your local distributors here. What’s more, we love increasing our distribution network so if you feel you’re the right person or company for the job, please read how you can become a distributor here.